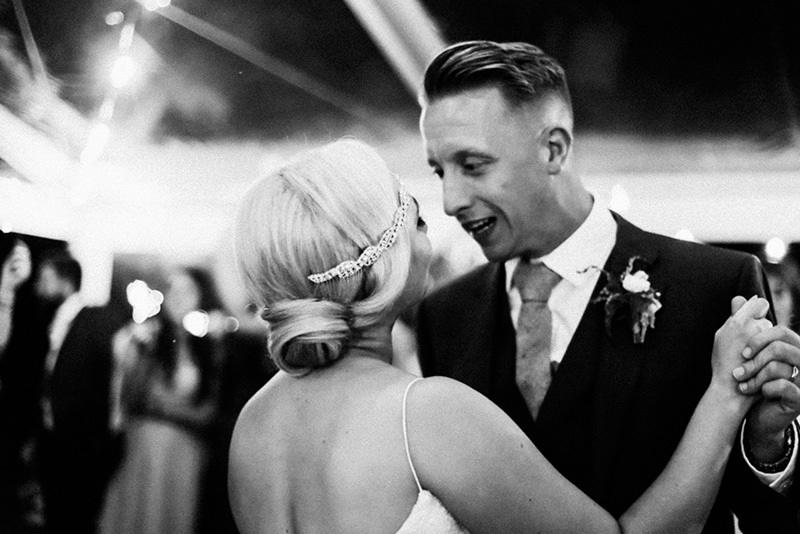 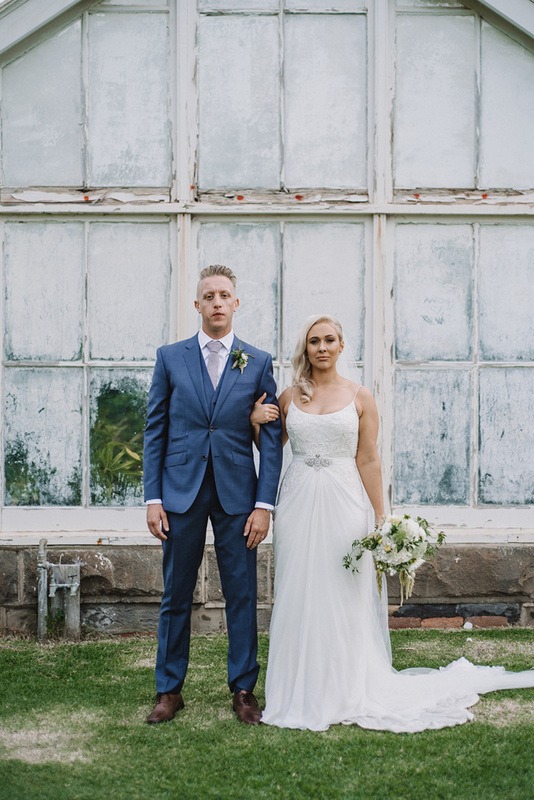 Bella Sabatino and Karl Yool met by chance in Melbourne, and their relationship bloomed. 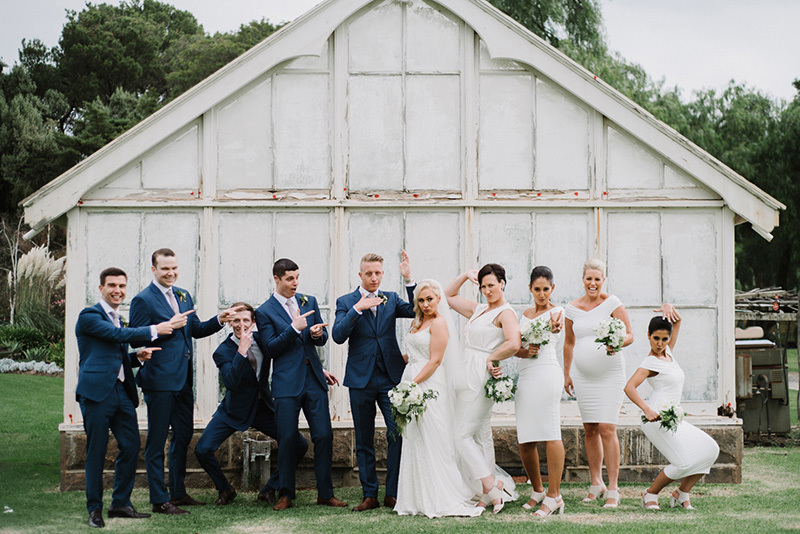 Karl proposed among the roses in the St Kilda Botanical Gardens, before Karl led his love to a surprise engagement party with all of their family and friends. 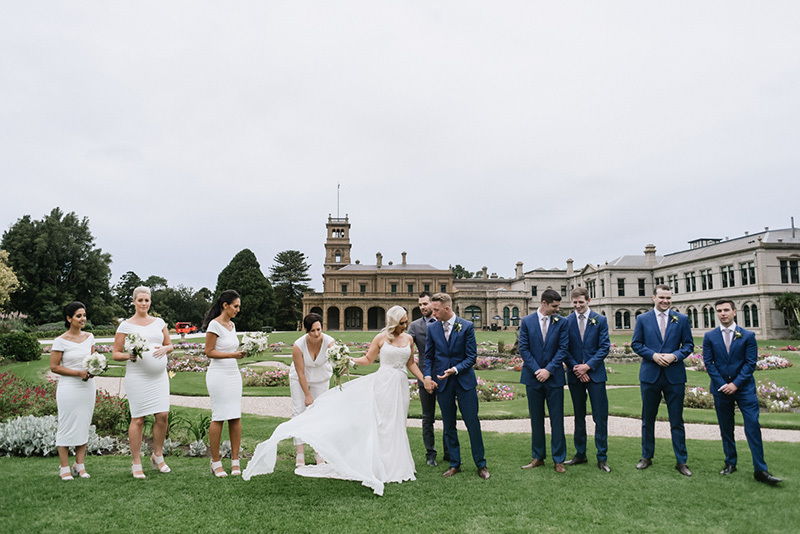 The pair wed at Werribee Mansion in front of their 96 guests. 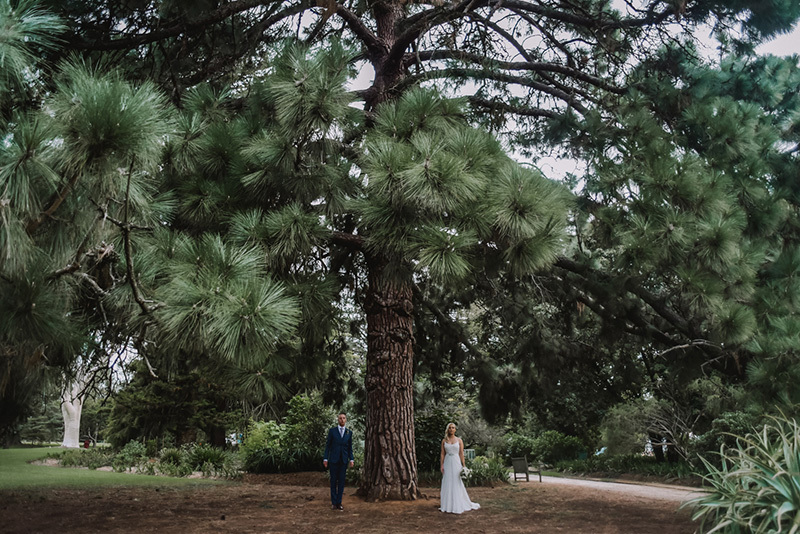 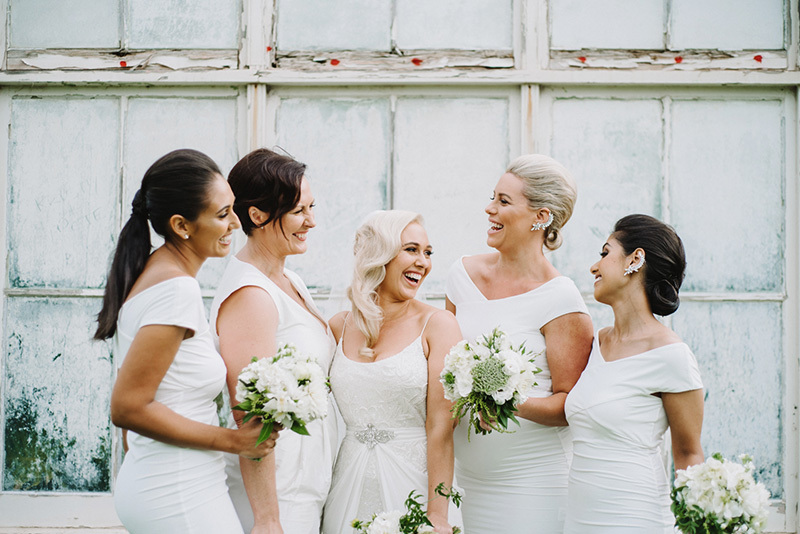 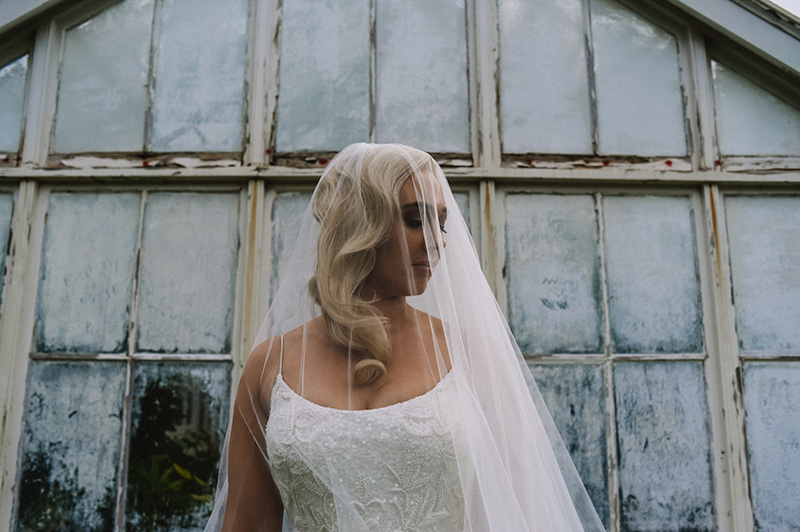 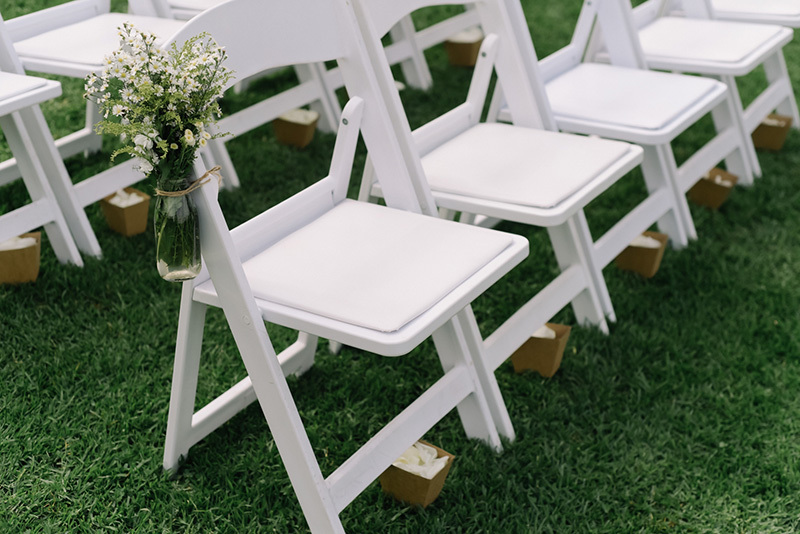 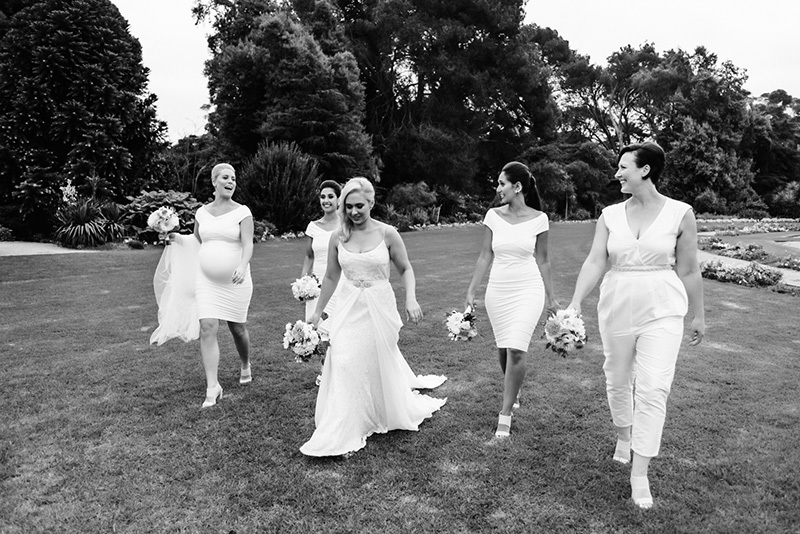 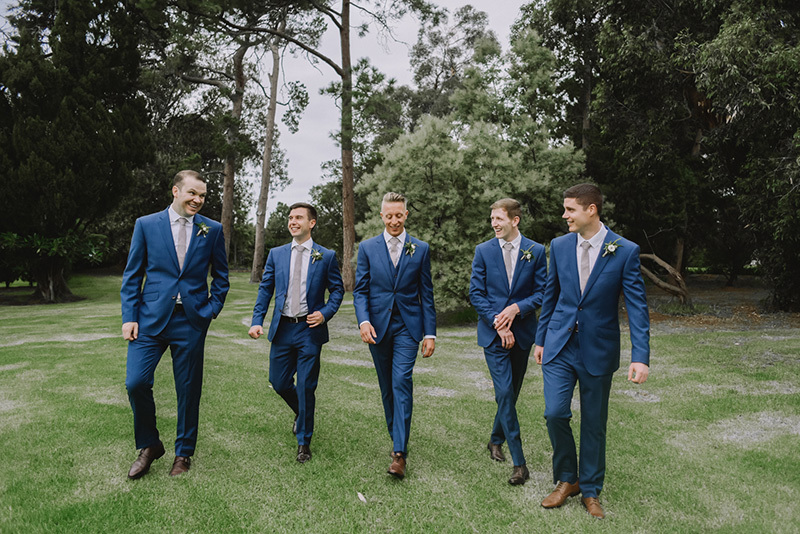 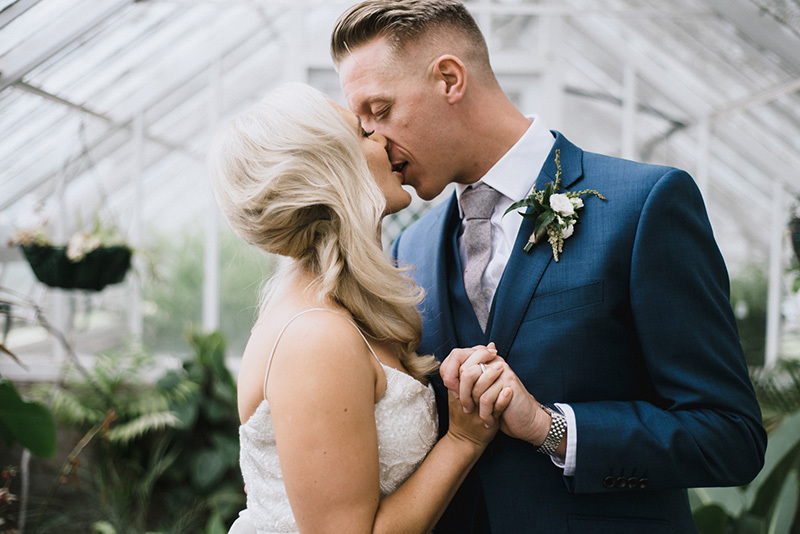 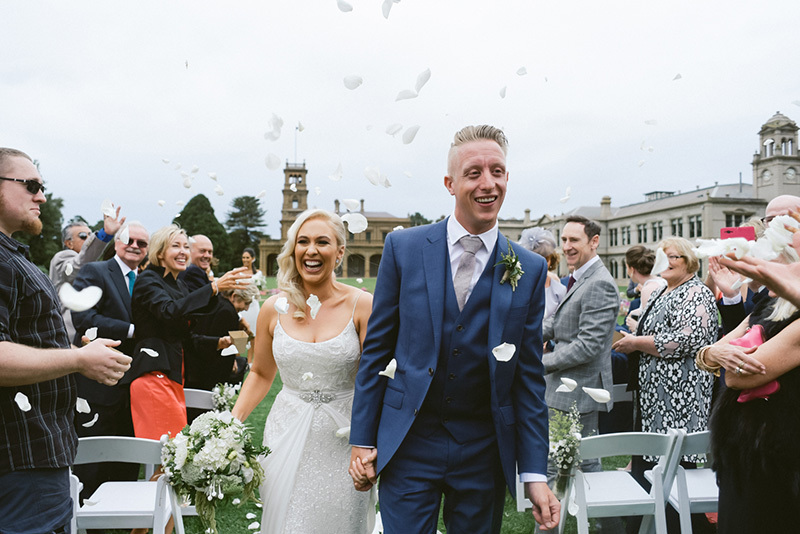 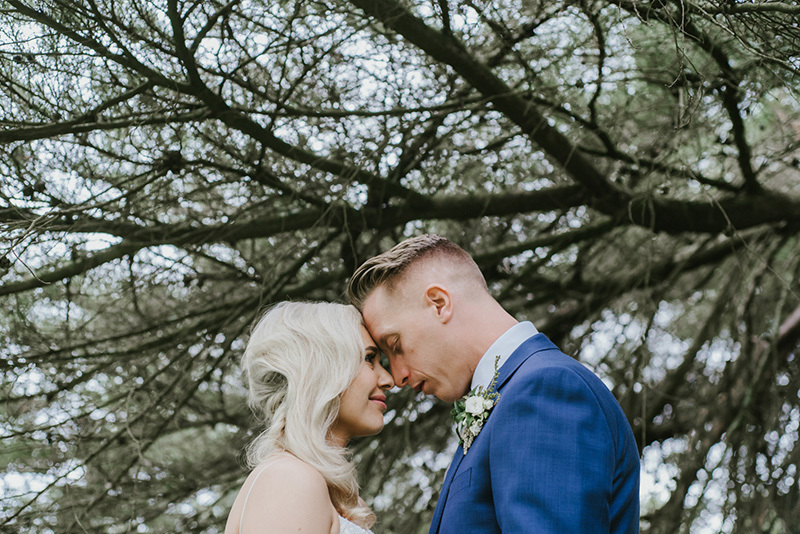 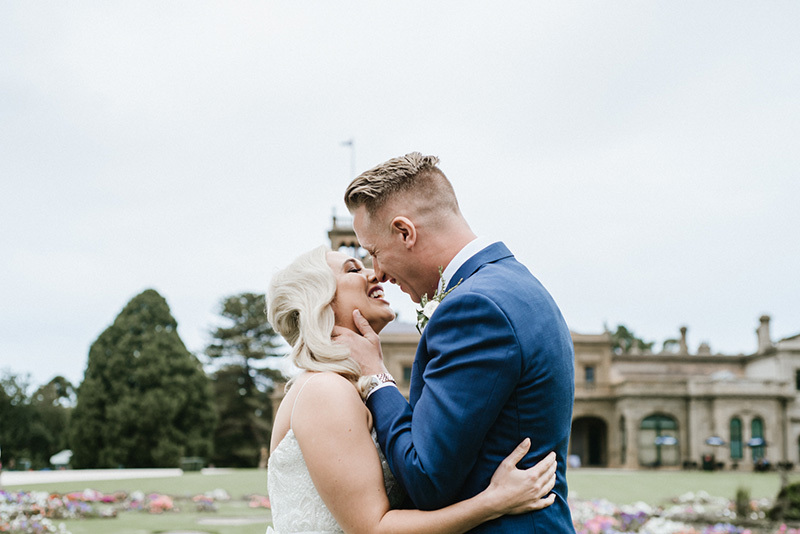 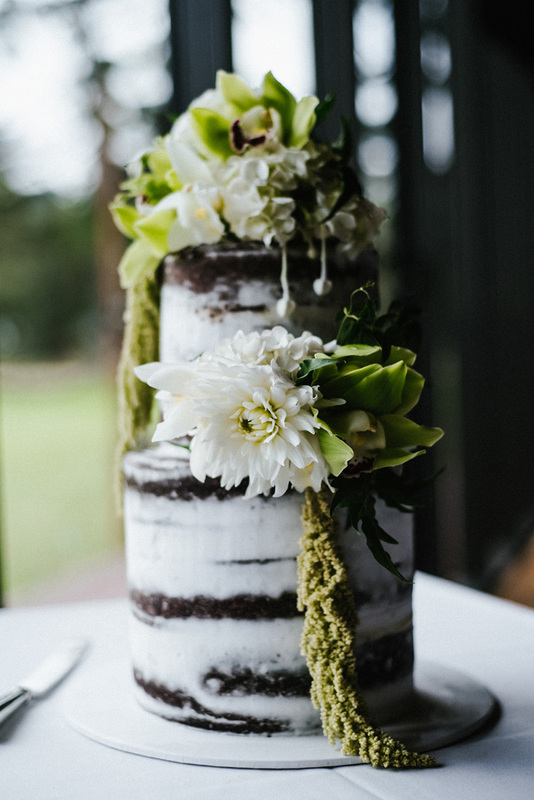 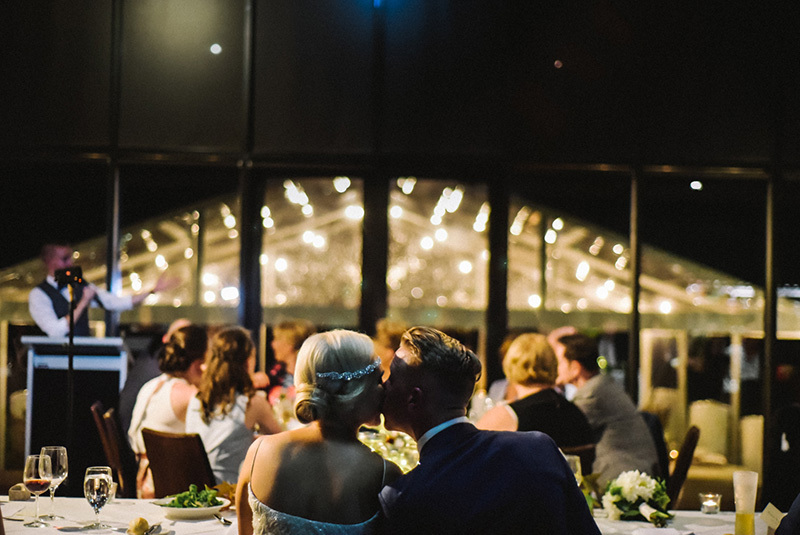 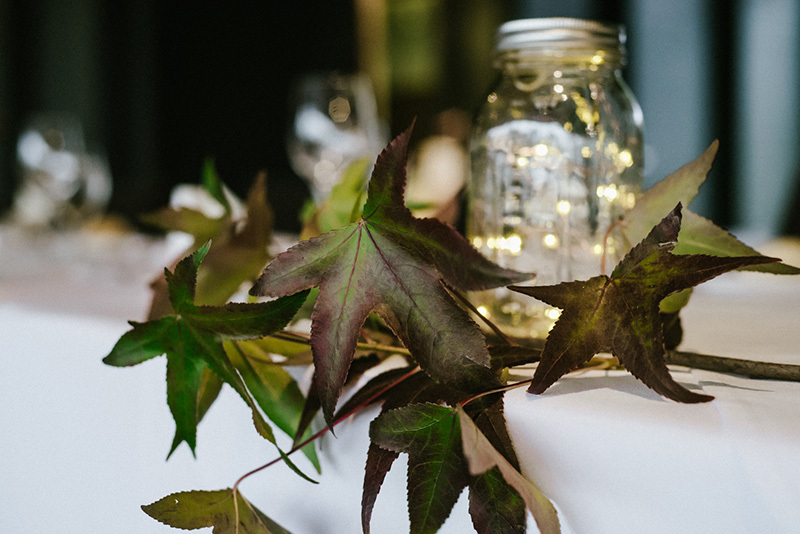 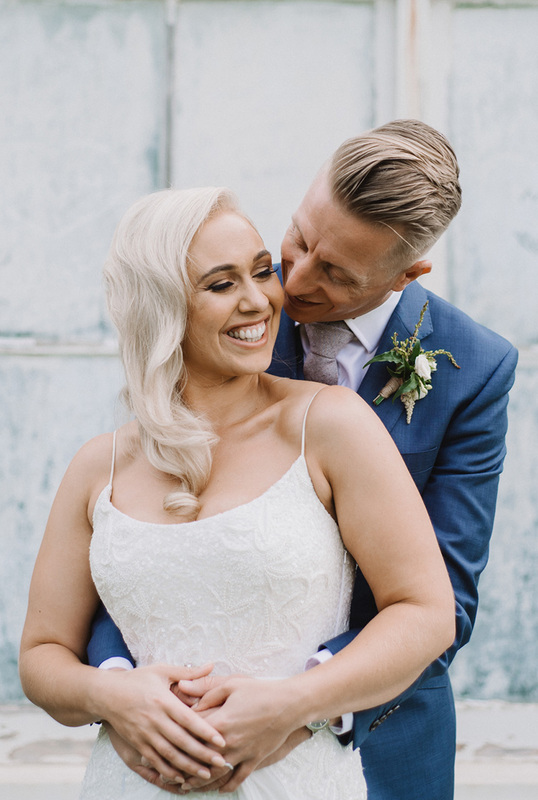 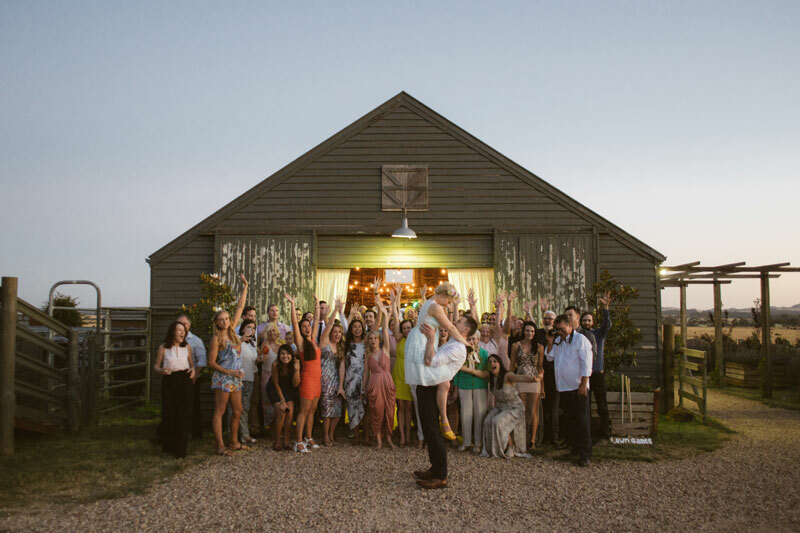 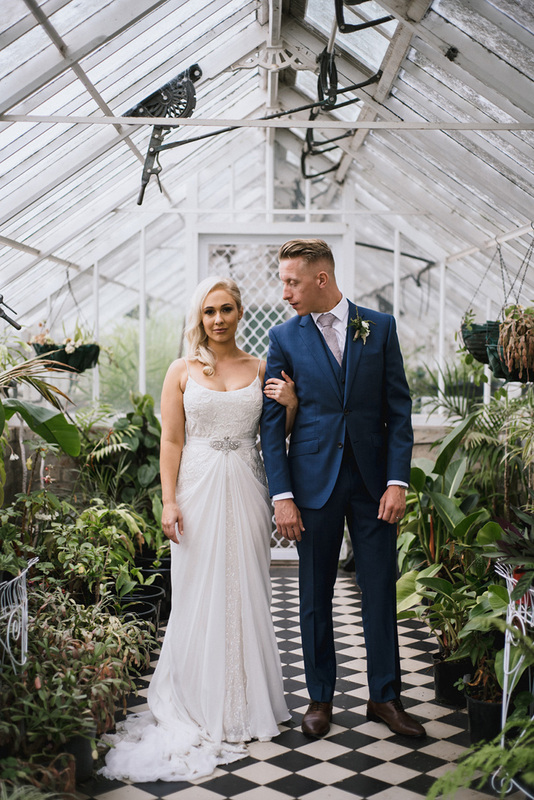 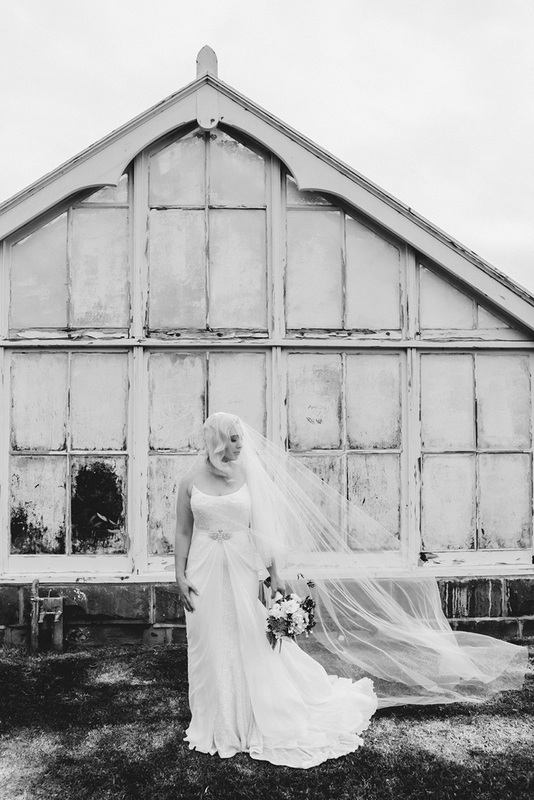 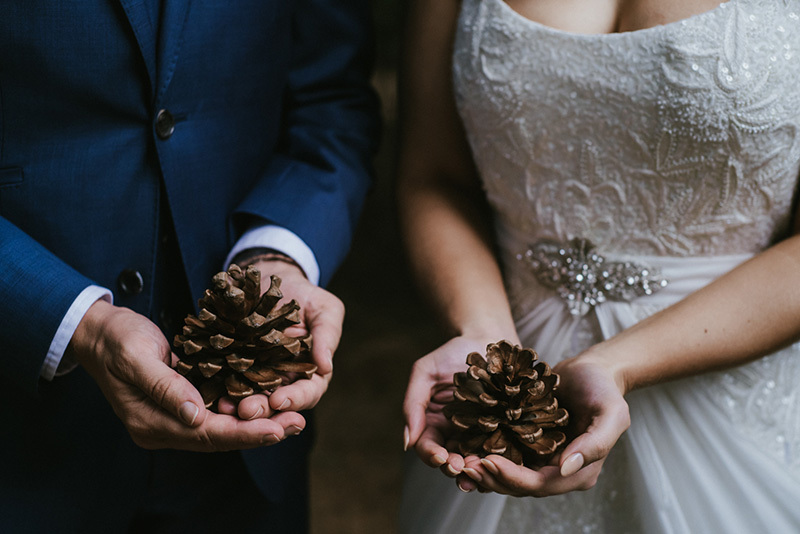 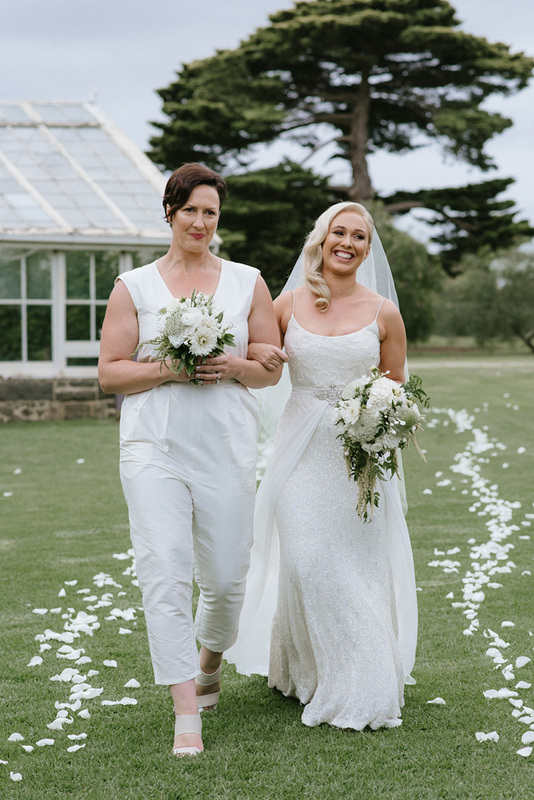 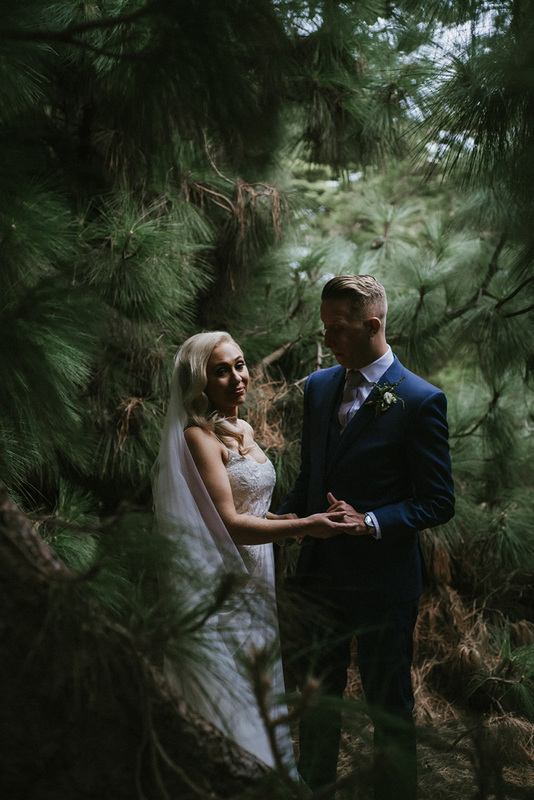 “One of our first dates was at the Werribee Mansion – we fell in love with it and always knew we’d get married there,” says Bella. 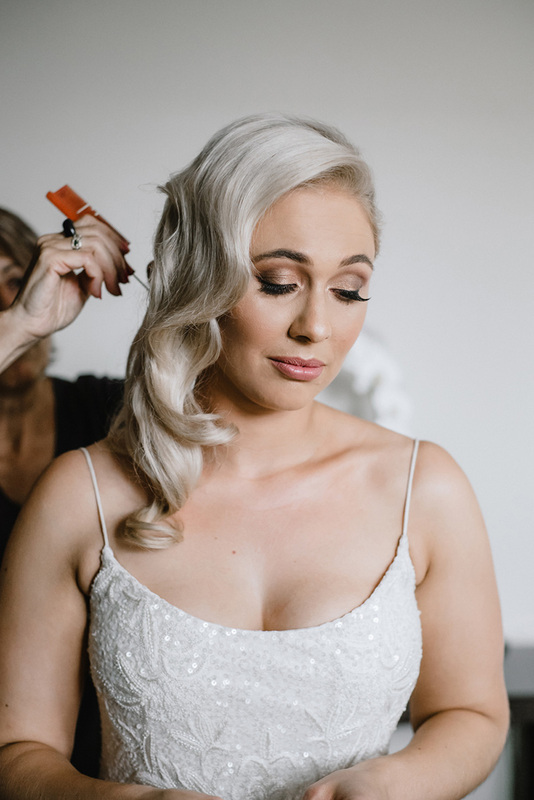 Bella, whose mother had passed away, was able to hold her close with her photo, on a little love heart in her bouquet, created by her mother-in-law.